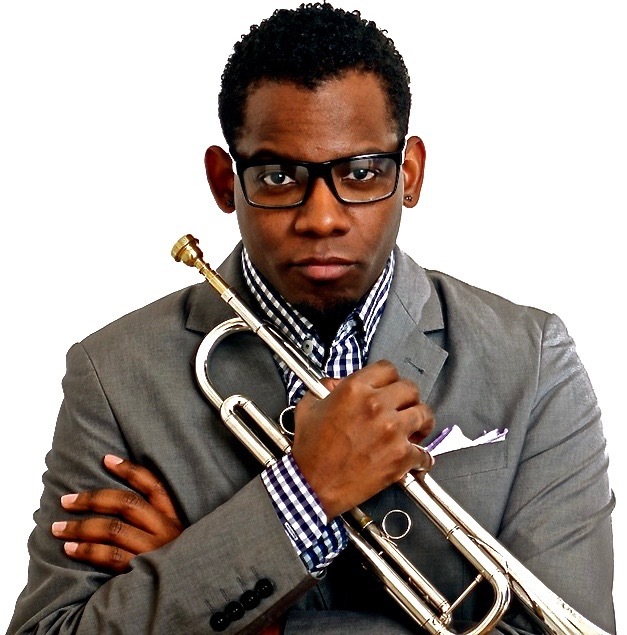 The newest directions in 21st Century trumpet performance are being explored and defined by Courtney Jones, an award-winning Yamaha performing and recording artist who has also emerged as a leading figure in contemporary performance and pedagogy, conducting, and service to inner-city youth through music outreach programs. An artist who transcends stylistic boundaries, Courtney has performed with classical ensembles and orchestras throughout the United States, internationally, and has won multiple solo awards and accolades through regional and national trumpet competitions. Courtney conducted his doctoral studies at UCLA under the instruction of international soloist and former lead trumpet of the Canadian Brass, Jens Lindemann. During his time at UCLA, Courtney worked as a Teaching Associate for lecture courses and provided weekly lessons for university trumpet students under the direction of Lindemann. Winner of a Gluck Fellowship, Jones was then selected as the conductor of the UCLA Brass Ensemble during the latter part of his residency. His musicological research during this period explored 21st Century ideological and transcendental concepts of performance practice focusing on a lesser-known contemporary work of composer Frank Ticheli, The First Voice for Solo Bb Trumpet. The intention of this dissertation was to broaden the technical capabilities of 21st century performers and shed light on the ideological and philosophical foundations of Ticheli’s composition. While the study is largely analytic and interpretive, the main purpose and goal is to help modern trumpet players develop more confidence in performing Ticheli’s music and other contemporary compositions in related genres. Before completing his doctorate, Courtney was appointed as the Visiting Assistant Professor of Trumpet at the Voxman School of Music at the University of Iowa. During this almost two-year residency he presided over a studio of 15 trumpet majors, served as the Principal Trumpet for the Iowa Faculty Brass Quintet, taught Graduate Brass Pedagogy and Literature, and served on recital and graduate committees. He was asked to lead the University’s top performing Jazz Ensemble (director on leave) and produced an engaging performance concert by the University’s Brass Ensemble (which had previously been inactive for a number of years) to showcase the importance of Brass Bands as an engaging training ground for solidifying technical and pedagogical facility for brass players. In addition to his applied obligations, Courtney performed with Orchestra Iowa, the Dubuque Symphony, and gave solo performances with both the Cedar Rapids Municipal Band and New Horizons Band. One of which was the Midwest Premiere of Kim Scharnberg’s Travelogue for Trumpet. Besides performing with well-known jazz and popular artists, he has shared the stage with famous artists or groups such as Kenny Burrell, B.B. King, Dee Dee Bridgewater, Rihanna, Lalo Schifrin, Boy George and The Culture Club, and Stevie Wonder. In addition to his solo performance career, Courtney has performed classical music with the Golden States Pop Orchestra, the Southeast Symphony Orchestra, the Macao Orchestra (China), the Pasadena Orchestra, the Debut Orchestra, the Inspiravi Chamber Orchestra, the Long Beach Opera, the Chamber Singers of Iowa City, and the Los Angeles Trombone Collective in collaboration with James Miller. His feature film and television credits include music performed for “Glee,” “Notes from Dad,” “Cougar Town,” and “Criminal Minds” among other productions listed under the MEDIA tab of this website. Prior to his appointment at Florida Atlantic University as the Assistant Professor of Trumpet & Artistic Director of Jazz and Chamber Ensembles, Jones was a Lecturer of Music at Columbus State University while recording his Solo CD project, “Between 2 Worlds,” at the Joyce and Henry Schwob School of Music. Between teaching and solo performing engagements, Courtney has promoted music education and instrumental performance in inner-city schools through the Music Outreach Program at UCLA, The Harmony Project of Los Angeles, and Trumpets 4 Kids in Dallas, Texas. Each of these programs offers schoolchildren art-in-education opportunities. These programs are essential because they provide underserved, inner-city students, and communities with musical training and mentorship that would otherwise be inaccessible.